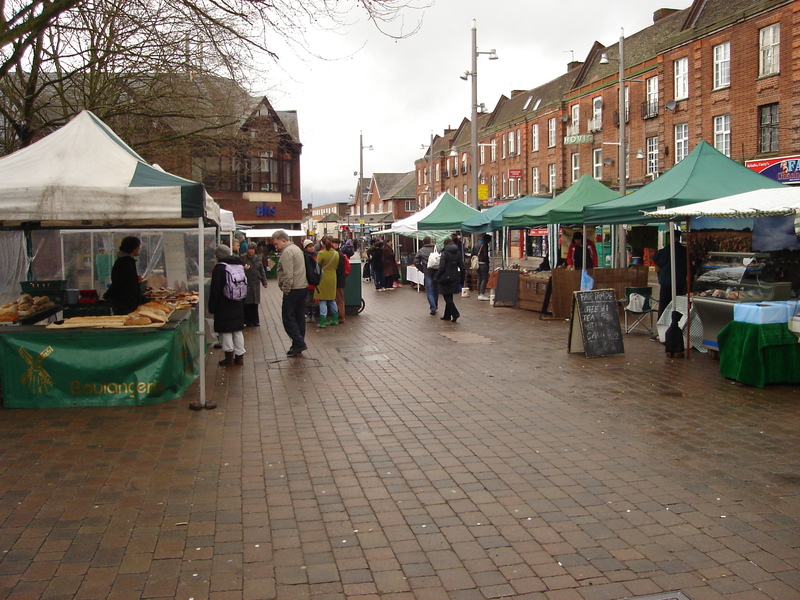 Every Sunday there is a Farmers Market at the top of the High Street, next to the town square. It is open 10AM to 2PM. 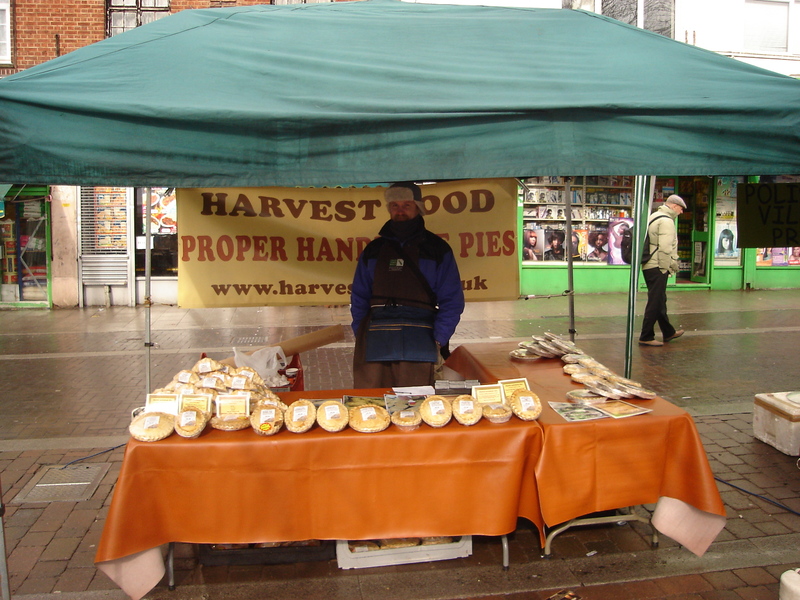 It is part of the London Farmers Market (LFM) organisation. 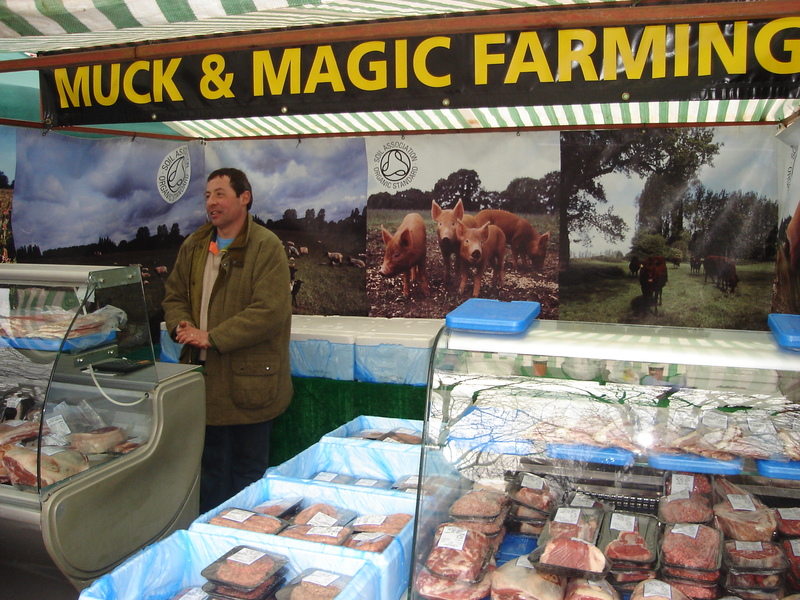 They limit the stalls to producers that have come from within 100 miles of the M25. My partner and I do most of our shopping there. 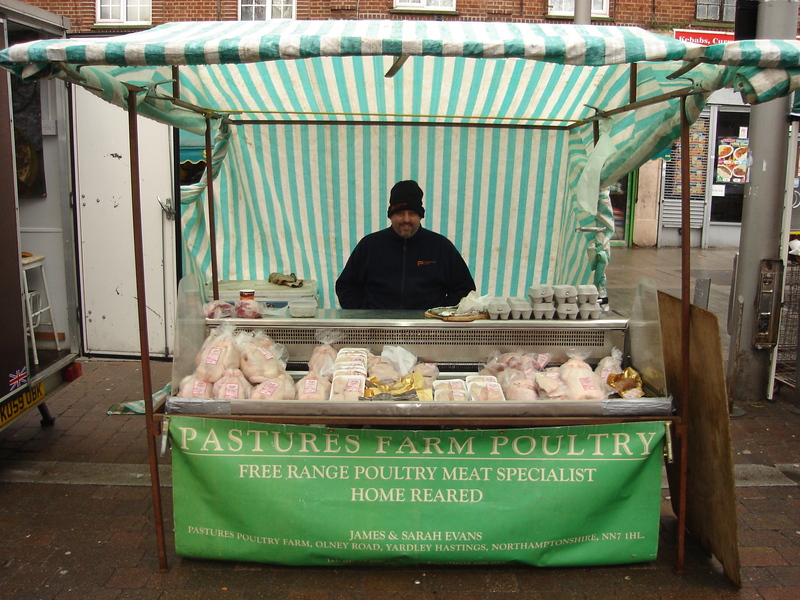 Every week I get stuff from the poultry stall and the meat stalls. I love the monthly bread guy (although I’m a bit sad he’s no longer weekly). Another monthly treat is the cider stall, which is lovely. Look at the website for which stalls come on which weeks. The market manager is Rev. Tony Cant who runs St Luke’s on the high street. He’s a lovely bloke who’s happy to chat about the market and local issues. The only downside is that a few stalls we’ve liked haven’t done enough business to keep coming. But the market always seems to get new stalls along.